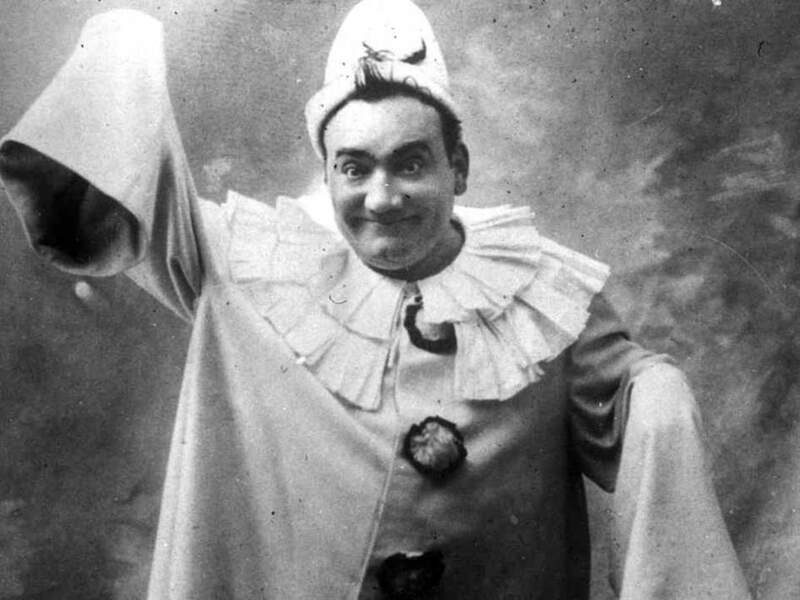 Italian tenor Enrico Caruso was the first gramophone star to sell more than a million copies with his 1904 recording of “Vesti la giubba” from the opera “Pagliacci” (Clowns) by Ruggero Leoncavallo. Here are his recordings from 30th of November 1902, 1st of February 1904 and 17th of March 1907. Caruso was the first gramophone star to sell more than a million copies with his 1907 recording of ‘Vesti la giubba’ from the opera ‘Pagliacci’ by Ruggero Leoncavallo. Here are his recordings from 30th of November 1902, 1st of February 1904 and 17th of March 1907. Vesti la giubba is regarded as one of the most moving arias in the operatic repertoire. The pain of Canio (Caruso) is portrayed in the aria and exemplifies the entire notion of the ‘tragic clown’: smiling on the outside but crying on the inside. This is still displayed today as the clown motif often features the painted on tear running down the cheek of the performer. The opera recounts the tragedy of a jealous husband. Vesti la giubba (English: Put on the costume) is a famous tenor aria from Ruggero Leoncavallo’s 1892 opera Pagliacci (Clowns), and regarded as one of the most moving arias in the operatic repertoire. It is sung at the conclusion of the first act, when Canio discovers his wife’s infidelity, but must nevertheless prepare for his performance as Pagliaccio the clown because “The show must go on”. The pain of Canio (Caruso) is portrayed in the aria and exemplifies the entire notion of the ‘tragic clown’: smiling on the outside but crying on the inside. This is still displayed today as the clown motif often features the painted on tear running down the cheek of the performer. Pagliacci is the only Leoncavallo opera that is still widely staged. in una smorfia il singhiozzo e ‘l dolor, Ah! Ridi del duol, che t’avvelena il cor! And yet it’s necessary… make an effort! Bah! Are you not a man? Put on your costume and powder your face. The people pay to be here, and they want to laugh. laugh, clown, so the crowd will cheer! your pain and sobbing into a funny face – Ah! Laugh at the grief that poisons your heart!